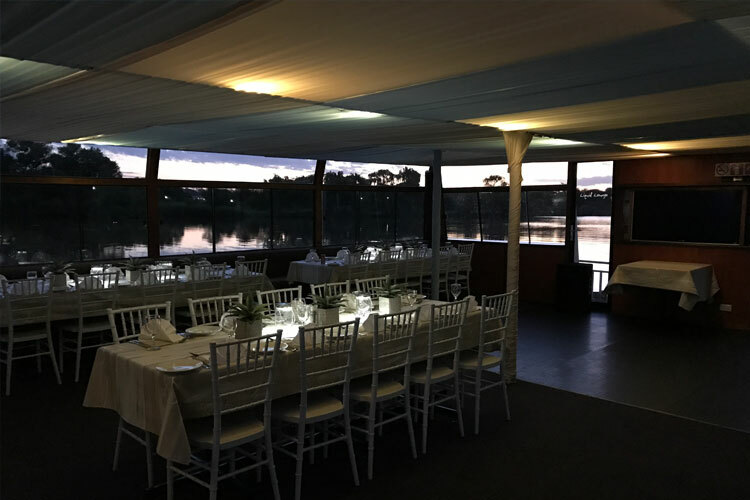 The Liquid Lounge is a Vaal River cruiser boat, and is the ideal venue for your next function! The Liquid Lounge is becoming a very popular choice of venues, due to the exclusive and unique experience it offers its guests. If you are in need of a special function venue to host your next social event, corporate function or party at, visit The Liquid Lounge to see what we can offer you. We guarantee that you will be wowed by our beautiful Vaal River cruiser boat. Wedding venue: The Liquid Lounge is a very popular wedding venue, as it serves for a memorable wedding day for the bride and groom, as well as the guests! Your guests will be treated to spectacular catering (choose from buffet style setup, or set menus) and beautiful scenery. Not to mention the great photo opportunities this cruise boat offers. Corporate functions / events venue: Get away from the usual venues for your corporate functions and book your year-end, conference or social event aboard the Liquid Lounge. Our Vaal River Cruiser boat is the perfect treat for employees and clients. Private parties: Need an intimate venue for a baby shower / stork party, big birthday party or even kitchen tea / bachelors? The liquid Lounge is just the venue for you. Enquire today about the various options available regarding catering / packages and more. Sunday lunches: The Liquid Lounge also offers out-of-this-world Sunday lunches for friends and family to enjoy together, whilst cruising down the spectacular Vaal River. See our calendar for upcoming Sunday lunches and other events. 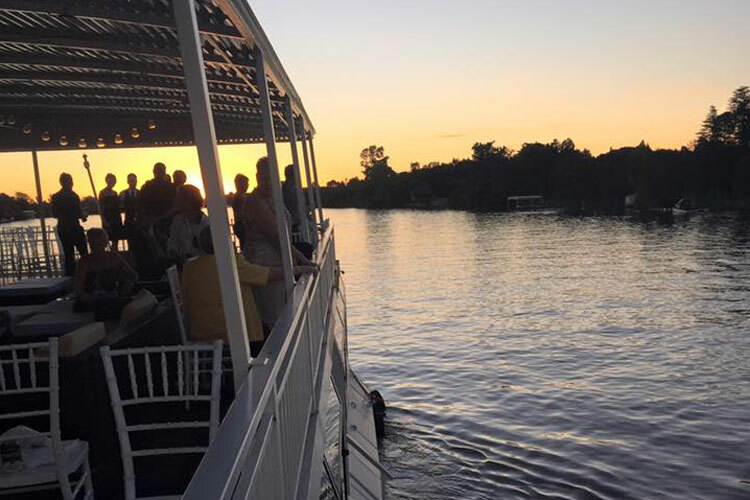 Book this Vaal River cruiser boat for your next function in the Vaal! The Liquid Lounge’s professional and trained staff will see to it that everything is in order and that your event is enjoyed by your guests. We will take care of everything from the food to the décor! Don’t delay, book early to get the date you want! 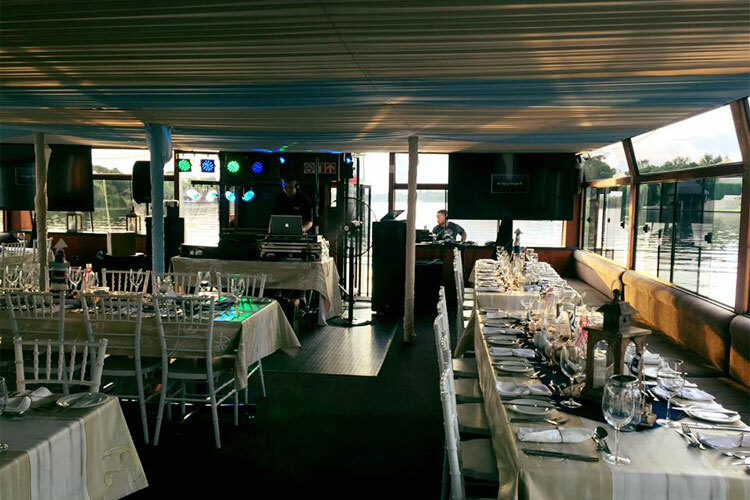 Contact the Liquid Lounge, popular Vaal River cruiser boat, today to get a quote and to book your function.